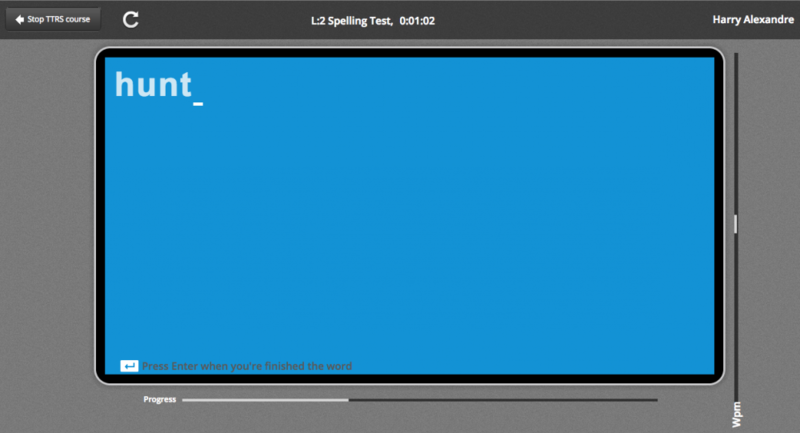 There are 24 spelling tests, one for each level in the TTRS Course. Each test consists of 20 random words. 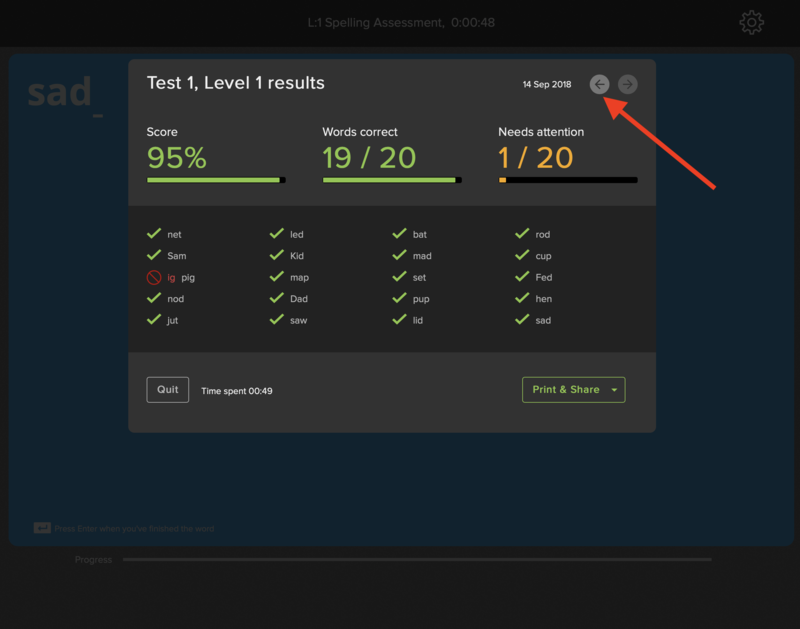 On a student account, click on TTRS Course, select an unlocked level, and then click on the Spelling Assessment (Beta) button on the top right of the screen. Note: The spelling assessment is only available on Student accounts. You will be presented with a blank screen and will hear the first word play. You will not see the on-screen keyboard and you cannot preview a word during a test. There will also be no red letters showing a mistake unlike in a normal module. At the end of the test, you will be presented with a score with the list of words entered. Any mistakes are shown together with the correctly spelt word. The test can be repeated as many times as required. 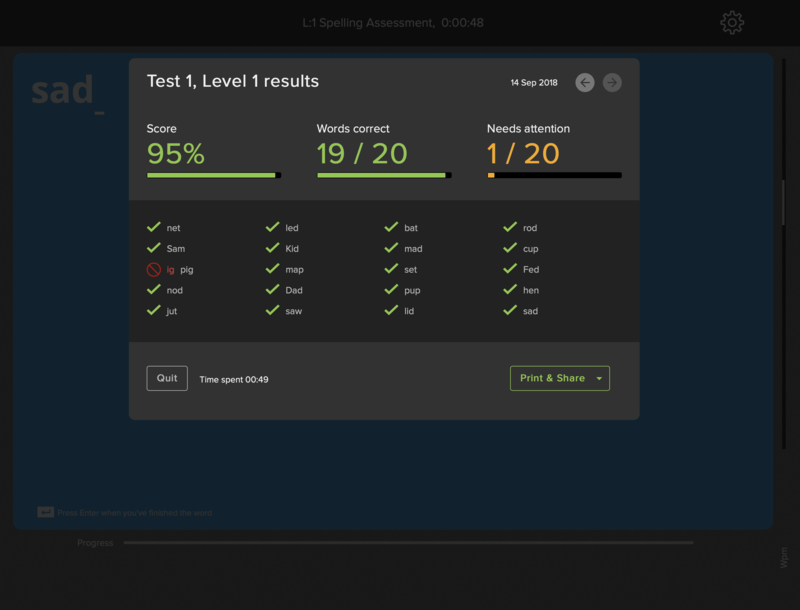 When you repeat a test, the same words will be tested – and the score will show a comparison with the previous test. To view previous test results, click the back button as shown below. If the test is repeated at a later date, 20 random words will be generated again.